Labor minister Sam Dastyari has been the victim of racial attack after being called a 'terrorist'. Opinion WHITE nationalists call a Senator a monkey and a terrorist and claim it’s not racist because Islam is not a race? These guys are clueless, writes Tory Shepherd. News ONE Nation supremo Pauline Hanson says she has no sympathy for Labor Senator Sam Dastyari after he was subjected to a shocking racist attack. 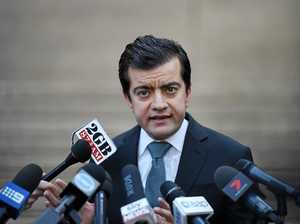 News LABOR Senator Sam Dastyari calmly handled anti-Islamic taunts in an attack posted on Facebook, but he’s warned certain politicians are enabling racism.